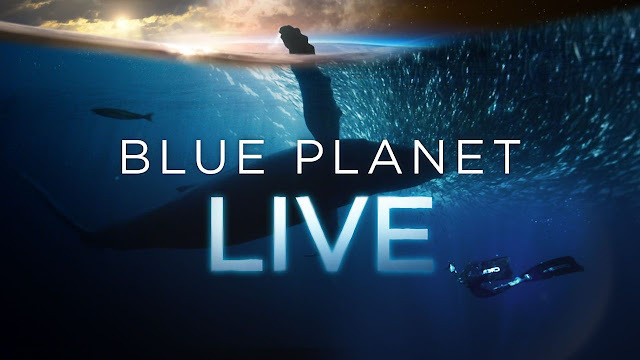 Next Tuesday, there is a Blue Planet Live lesson happening at 2pm. I'm intending to take part with the group I'm teaching at the time. Here's the details if you want to know more. We're teaming up with Blue Planet Live to bring the wildlife of our blue planet into your classrooms! Presented by CBBC's Naomi Wilkinson, this interactive programme for 7-11 year olds will look at the importance of the Earth's rich marine life. Guided by expert wildlife biologist Lizzie Daly, we'll explore what constitutes a healthy ecosystem and discuss the threats to our oceans such as plastics and overfishing. We’ll hear from Steve Backshall live from the Bahamas throughout as he demonstrates what sharks can teach us about ecosystems, how human behaviour can threaten shark life, and how the UK is connected with animals across the world. Linked to the Key Stage 2/2nd Level science and geography curricula, the lesson will also celebrate schools across the UK that have positively benefited the environment at home and abroad.